Actor Josh Hartnett's charming American sharpshooter character from the Showtime series Penny Dreadful makes his auspicious debut as one of the first-ever retro action figures based on the show! In his gray fabric overcoat, the brash and daring man of action brings his two revolvers to the party, complete with leather holsters, in Bif Bang Pow! 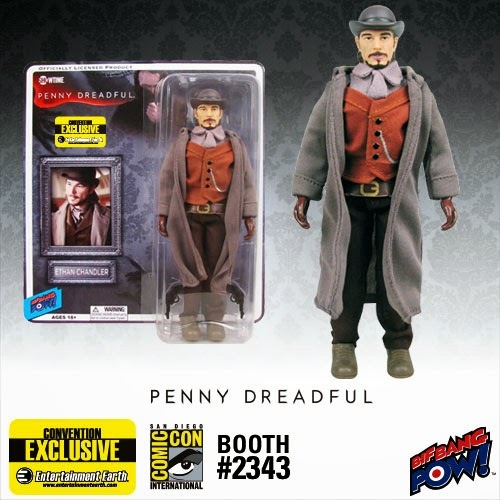 's terrific Penny Dreadful Ethan Chandler 8-Inch Action Figure.